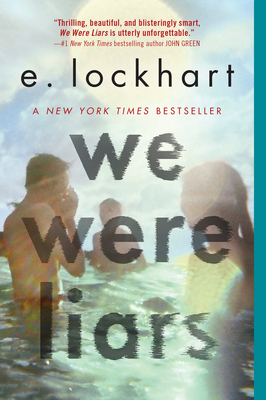 e. lockhart wrote the New York Times bestsellers We Were Liars and Genuine Fraud. Her other books include Fly on the Wall, Dramarama, The Disreputable History of Frankie Landau Banks, and the Ruby Oliver Quartet: The Boyfriend List, The Boy Book, The Treasure Map of Boys, and Real Live Boyfriends. Visit her online at emilylockhart.com, and follow @elockhart on Twitter. "This mindblowing YA thriller from E. Lockhart will make you glad you're the 99 percent...And that's about all we can tell you when it comes to the story of 'We Were Liars,' the book by E. Lockhart that everyone will be reading, and re-reading, this summer. It's twisty, it's mysterious, and it's got a surprise ending that'll knock your socks off." "Perception often is not reality -- and it certainly is not in WE WERE LIARS. This is a look at what “a perfect world” looks like on the inside and how it unravels once one of the players sees it for what it is. Pitch perfect in both plotting and character development."